Edie Dickens is a shark of a divorce lawyer. 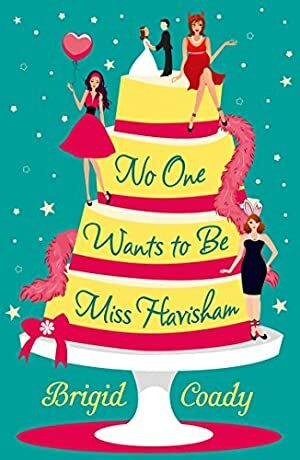 She doesn't believe in love and she scoffs at happily ever afters, however she's agreed to be maid of honour for her oldest friend, Mel in two weeks and she still has the hen night to endure. But she has even more to endure when she's visited by Jessica Marley's ghost and finds out she must change her ways or end up being damned to an eternity watching other people's happiness. Edie is visited by the Ghosts of Weddings Past, Present and Future, every Friday night until the day of the wedding. Can she learn from her mistakes in time? And did the ghosts send the hunky new lawyer, Jack Twist, to distract her? Log In to track Brigid Coady on eReaderIQ. to be notified each time the price drops on any book by Brigid Coady. to stop tracking Brigid Coady. The price of this book has changed 52 times in the past 1,492 days. The current price of this book is £1.49 last checked 22 minutes ago. The lowest price to date was £0.99 last reached on May 28, 2016. The highest price to date was £5.49 last reached on April 17, 2017. This book has been £5.49 one time since we started tracking it. We last verified the price of this book about 22 minutes ago. At that time, the price was £1.49. This price is subject to change. The price displayed on the Amazon.co.uk website at the time of purchase is the price you will pay for this book. Please confirm the price before making any purchases.